You are what you eat. That’s the famous saying, right? 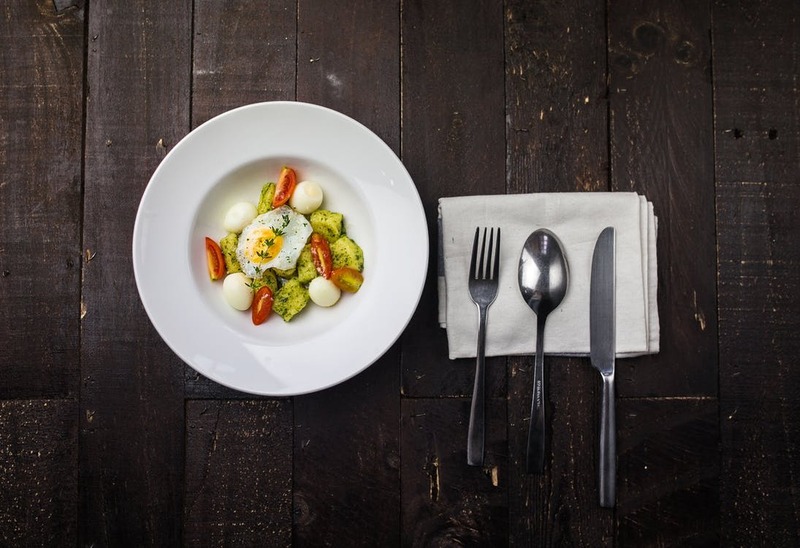 Well if you are what you eat, then it is probably a good thing for you to familiarize yourself with the various things that you are putting into your body. For some, this is done by eating all organic fruits, vegetables and meats. However, the more commonly found method of finding out what you’re eating is going to be looking at the back of the box or bottle and giving the nutrition label a good run down. When you look at the label, there are a few words that you can recognize pretty quickly: calories, carbohydrates, sugar, and probably a few others that you can at least associate with some general knowledge. Having this base knowledge is great, but what are you missing in each small area can provide you with even more knowledge on what you’re putting inside of your body and what is causing your body to react to that food. At Healthy Body Inc., we know that even the smallest of things can make a difference to your well being and health. From the supplements that you take to the vitamins that your body is lacking, everything that you put into your body, or don’t, will have an effect. Because of that, we found it to be extremely necessary to cover the nutrition label so that you can have a better idea of what to look for the next time you’re out grocery shopping. This is going to be the foundation of the information that follows, so it’s good to check this initially. One of the biggest mistakes that people can make is compare the nutrition labels of two different brands and then realize that the serving sizes are entirely different and it’s very obvious which of the two is the better option. The serving size will tell you exactly what the nutritional value is going to be in correspondence with, as well as how many servings there are in the container. The next beneficial piece of information that you’ll find is going to be the calories line. For the most part people what calories are, but when they look at the nutritional label they don’t make the connection that this is going to be per serving. This is a crucial part to making sure that you’re not surprised when you eat the entire package and find out that you’ve actually just put twice, if not more, the amount of calories into your body. The rest of the nutritional label is going to give you a very specific number of the nutrients that the food you’re going to be eating contains. We’ll review each one as well as a few things to take into consideration with each of them. 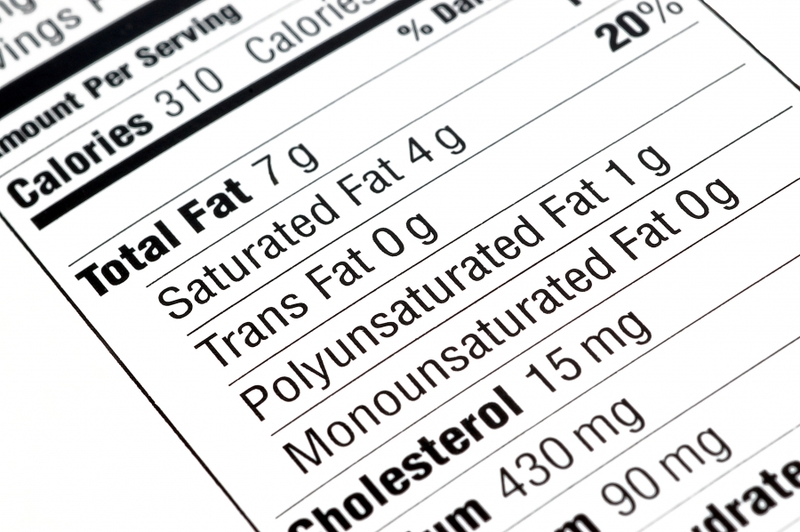 Underneath this part of the nutritional label you’ll see the breakdown of fats that the item will contain. This will be broken up into saturated fats and trans fats. Each of them will have a different effect on your body and provide different nutritional benefits. Here is a deeper look into those. A saturated fat is a type of fat where the fatty acids are composed of single bonds. The American Heart Association suggests limiting yourself on the amount of saturated fats that you consume, so the lower the number here, the better. These fats are known for raising cholesterol levels and increasing the chances of cardiovascular disease and type 2 diabetes. While there are some pretty serious dangers when consuming mass amounts of this food, there are often a small amount of this fat that will be found in natural foods as well. Just make sure that you keep an eye on this. This type of fat is created in an industrial process that adds hydrogen to the vegetable oil in an attempt to make them more solid. It’s an artificial fat that can best be compared to margarine or shortening. This is one of the worst types of fats that you could be consuming because it is a processes type of fat that turns natural, healthy fats into solids. Do your best to stay away from these. to do your best to limit is cholesterol. This is a substance that your body uses to protect its nerves, produce hormones, and makes cell tissues. It’s pretty important, but the truth is that your liver will make all of the cholesterol that your body really needs. Which is why consuming foods that have high cholesterol levels can lead to your body having an overall high cholesterol point. As a whole you’re going to want to stick away from these and try to maintain your cholesterol levels that your body naturally produces. Commonly known as the amount of salt that can be found in a specific item of food. Now, remember that the nutrition label is going to be providing you with the amount of sodium that is found in one single serving. As a rule of thumb, you should do your best to try and keep your sodium intake to less than 2,300 mg a day. That might not sound like much, but that equates to a little less than a single teaspoon of salt in a day, which is quite a bit if you consider it. The four areas of the nutrition label that we’ve listed thus far are going to be the ones that you want to manage. They should be consumed with awareness to the amount that you’re having, but also, they are the areas of the food label that can tip you off to some difficulties with health later on. The ones that we’re going to cover moving forward will show cover some of the nutrients that you should be getting on a regular basis. Carbohydrates have a bad connotation to them because they are often tied to the amount of fat that a food has. It’s almost as if we see this word and think that we’ll gain weight. The truth is that every food that we consume is going to have carbohydrates in it, we just need to know what will benefit our body and which ones will lead to some weight gain. The easiest way to go about determining this is by looking at the grams of dietary fiber and the grams of sugar. If the grams of sugar outweigh the amount of fiber, then the carbohydrates are going to bad, while if the fiber is higher than the sugar, you’re in the green! Fiber is an extremely part of our diet. Dietary fiber is the indigestible portion of food that is derived from plants. It is broken up into two different, and main components: soluble fiber and insoluble fiber. Soluble fiber dissolves in water and is easily fermented in your colon and turned into gas and byproduct. This is also one of the main reasons that we feel full after a meal. Insoluble fiber does not dissolve in water. This particular fiber is what makes defecation easy, and is a must for a healthy digestive tract. As a whole, your fiber is extremely important, so it’s good to make sure there are more grams of fiber than there are of sugar when you’re looking at nutrition labels. You might have guessed this, but sugars are something that we do our best to stay away from. Especially in the form of carbohydrates, sugars can slow down the body and your metabolism. This is one of the biggest reasons that we feel tired after a meal, but is also who we thank for all that extra fat. While these grams of sugar might not be listed under the fat portion of the nutritional label, the sugar, once processed, is turned into fat. Sneaky how they do that, but now that you understand that, you can have one up on the tactics that are commonly used. One of the most important parts of your diet is protein. This is something that every professional nutritionist will tell you, and at times, this can also be the most difficult part of maintaining your nutrition. There are a few different reasons that this is such an important part of your diet. The most important one is that your body uses protein to do quite a bit. Proteins are used to repair muscles, create hair and nails, and then provide your body with enzymes, hormones and other necessary chemicals. It also plays a part in your skin, cartilage, your blood and so much more. So, it’s safe to say it’s a pretty important component. The higher the protein, the better, considering most people don’t reach their daily levels of proteins. Below the protein is going to be another, extremely important part of your diet and nutrition: vitamins. We all know that vitamins are another necessary part of our nutrition and that each vitamin will provide our body with something different. What’s nice is that so many of the foods that we eat on a daily basis provide us with these vitamins. Each nutritional label should tell you just how much of each vitamin you’re going to be getting when you enjoy the food. If you’re deficient in a particular vitamin, then keeping an eye out for this part of the label could be a great thing to do. The last part that we’re going to touch on is the % Daily Value. This tells you the percentage of each nutrient, for a single serving of that food, and how much of your daily needs it takes care of. The more focus that you put on the food that you’re putting into your body, the more important this part of the label will become. A good rule of thumb here is to to look at the label with goals of what you hope to accomplish through this meal. If you are trying to lessen the amount of that specific nutrient then it’s best to stay below 5% and if you are trying to increase the amount that you’re eating, for instance fiber or protein, then you should keep an eye out and make sure that it is 20% or more of your % Daily Value. Now, we know that this was a lot of information to take in, but each of these nutritional values is going to be extremely beneficial in the long run. By understanding what it is that you’re taking in and putting into your body, you are able to better care for your body and have a genuine understanding of all the different things that each item you eat puts into your body. While food is a huge contributor to living a healthy lifestyle, it isn’t the only one. There are so many different vitamins and supplements that also contribute to an overall healthy way of life. When you’re looking for supplements that can help you live a healthy lifestyle, you can count on Healthy Body Inc. to have them. From sports and exercise to weight loss and detox, we make sure that there is always something in our selection to add a little extra to your life. Make sure to browse our selection of vitamins and supplements and keep up with our blog so that you can continue to learn more on ways to boost your health.